We had a great experience with Mike Wheatley and coworkers at Wheel City Motors. They made the car buying process quick and painless. They answered emails and inquiries promptly. I would highly recommend them to anyone in search of high quality, used vehicles. Thank you guys! Great service and good people who are willing to do what it takes to make sure you have a great experience! I would strongly recommend them and I will be using them for my next pre-owned vehicle purchase. Thank you for all your help! Best place in WNC to buy or trade. Chris is an honest guy willing to make a deal ! The best service I have ever felt with when buying an vehicle!! They will work with you threw anything to help you get into a vehicle an I can't thank them enough for helping me out.. an I'm gonna give a big shout out to Chris you helped me threw this whole process!! I do not normally write reviews but I have to share my experience. I just purchased a truck from Chris and I have to say it was the BEST vehicle purchase I ever made. I was really dreading the """"process"""" of purchasing a vehicle. I have been researching my truck for about a year and finally found the one I wanted this week at Wheel City. I called Chris and within 1 hour, I was booking a flight to pick up my truck the next day. Chris really went above and beyond to make the deal work within my budget. Thank you again Chris, and before I purchase another vehicle, my first call will be to you. If anyone needs a vehicle, I would STRONGLY SUGGEST you give Chris a shot at finding you the vehicle you need. The wife and I drove from Chincoteague VA to Ashville, NC (8.5 hrs of driving not counting meals) to look at a BMW they had on the lot. They opened early so we could inspect the car and were not only on time, but they were 30 minutes earlier than we agreed on. They were polite and respectful and made us a GREAT deal on the BMW Z4. I would gladly do business with them again. We got a great deal on a hard to find truck. The staff are very friendly and they stayed late because we couldn't get there before closing time. Great experience and I would highly recommend them if you are looking for a good used vehicle. Major props to Chris and the guys at Wheel City. Super stoked to have my new ride. Yes. I am beyond excited to be driving a 13 year old 4Runner. So clean and pristine. Mileage? Whatever, actually pretty decent for a Toyota. Great lot, great service. If you are looking for a used vehicle in Asheville, go check them out or give them a call! Some of the nicest sales people I've met. Did not pressure us into anything, and worked with our budget! Thanks to Adam and everyone else who helped us! Y'all were great! Loving my new Camry! I recently purchased a 2003 Dodge Ram and absolutely fell in love. All of the dealers were professional and considerate. Mike did everything he could to get rid of negative equity and put me in the truck I wanted. I had been trying to get rid of my car for 2 years and everywhere I went shot me down. I would highly recommend Wheel City Motors to anyone wanting to buy a car! They gave us a great deal on the 2011 Nissan Rogue SV AWD we purchased from them. The mileage was low and into was in good working order. We never once felt pressured about anything including using their financing over our our own credit Union to finance through. The guys that run the place are very friendly and act like they genuinely want to help you find a vehicle. They told us repeatedly how much they don't like to use tactics like DOC Fees to jack up the final out the door price. Our credit union required a visual inspection of the vehicle before financing and its about a 45 min. drive from the dealership. When we got back from the trip to the credit Union I informed them there was a brake light bulb out and the nitrogen filled tires were low. While we were finishing the paperwork, they ran it out to a local station to get those two items fixed. When we got back in the car when we were ready to go we were happy to see they had given us a half tank of gas which is a huge favor in the used car game. All in all it was a pleasant car buying experience. I hope I can give them my business in the future. This dealership was an absolute pleasure to deal with. They did everything they possibly could to make sure I was a happy customer. I drove 6 hours to pick up a 2007 Lifted Tahoe LT. It was the lowest priced 4x4 Tahoe in a 300 mile radius. When I got there I mentioned how the car needed a brake job and tires......guess what......WITHIN HOURS they installed brand new rotors and brake pads front and rear and put a sweet set of All Terrain tires on it! It rode like a champ and I bought it for less than the agreed upon price over the phone. These people are the bomb and I would recommend them to everyone I know without a bit of hesitation! High fives to everyone who works there!!! I'll definitely be back! Wheel City Motors gets an A++++ in my book. Chris Nadeau is not your average car salesman, he is one of a kind. I couldn't imagine buying any other car unless I am dealing with him personally. His knowledge of cars is top notch, his kindness while going through this process was overwhelming, and his willingness to work with us and our budget exceeded all expectations . Excellent human being. My family is forever grateful. We are from out of state and bought a car without psychically seeing it until the day we picked it up. It was 100% exactly what we wanted, it actually looked better than the photos online! I loved our experience with WCM!! AWESOME experience with these guys! Go see them... like NOW! 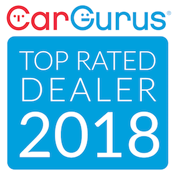 The best place to buy a car or truck! Mike is the best! Bought my 04 Dodge Cummins from them! Chris was professional and it was a seamless transaction. Very nice inventory also. Real easy deal with. Very responsive to emails. Will buy from again when need another vehicle! Wheel city was great. Their employees were tentative and not pushy at all. They made buying out new truck easy and stress free. Thank you Wheel city!! Awesome service, unlike others trying to make 200% profit. They were good with both ends getting a real deal good dudes with quality vehicles. I can't say enough good about these folks. I guess that's why we keep going back! Over the years I can name Infinity to Acura to Nissan to Ford, now to our 2015 GMC Sierra. Literally saved THOUSANDS off the sticker and best of all they armed it with new Nittos and a leveling kit at their Wheel City and tire store! Mike, Dewayne, and Jeff are all top notch. Great values and guaranteed high resale. That's what you get here! Highly recommend Wheel City Motors! Josh and I recently purchased a truck from the dealership and were very happy with the experience. We would most certainly consider buying from them again. They were very helpful with all aspects of the buying experience and made sure we were well taken care of even after the sale. Can't say enough about how great this buying experience was! Chris is very knowledgeable about his cars, and was super accommodating with us. He responded very quickly to any calls or emails and his customer service was head and shoulders above other car dealers we've worked with. We will definitely check out Wheel City Motors for any future used car purchase first! I was searching for this specific car for a while and I found mine at Wheel City Motors. The car had low miles, one owner, and a low price. It's hard to find Subaru's with low miles and with a reasonable price range in this area. I was helped by Chris Nadeau and with his great customer service he made me feel valued! I would recommend this dealer to other people. Thank you Wheel City Motors for assisting me!